The New York Times executive editor said during a visit to Harvard in September that he would risk jail to publish Donald Trump’s tax returns. 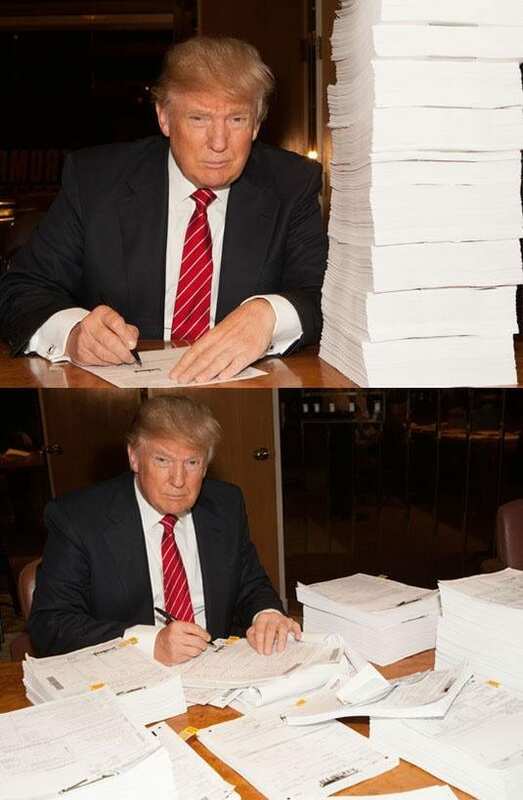 He made good on his word Saturday night when the Times published Trump tax documents from 1995, which show the Republican presidential nominee claimed losses of $916 million that year — enough to avoid paying federal income taxes for as many as 18 years. It shall be unlawful for any person to whom any return or return information (as defined in section 6103(b)) is disclosed in a manner unauthorized by this title thereafter willfully to print or publish in any manner not provided by law any such return or return information. Any violation of this paragraph shall be a felony punishable by a fine in any amount not exceeding $5,000, or imprisonment of not more than 5 years, or both, together with the costs of prosecution. Two weeks later, Times reporter Susanne Craig found tax documents in her mailbox. “The documents were the first page of a New York state resident income tax return, the first page of a New Jersey nonresident tax return and the first page of a Connecticut nonresident tax return,” the Times reported. First Amendment experts note that while the media could be prosecuted for publishing Trump’s tax returns, a news organization could also assert a First Amendment defense. In the case of the Pentagon Papers, for example, The Post argued that publication served an important public interest. But those arguments would not be sure winners, experts said. And members of the media would need to consider risks to their sources in any investigation of who shared Trump’s tax information. “The courts could say, if the public thinks the tax returns are so important, let it demand that the candidate authorize the IRS to release them on pain of losing votes,” said Jonathan Zittrain, a privacy expert and professor at Harvard Law School. The Times appears not to know who its source is; the tax documents were mailed anonymously. Jack Mitnick, listed as the preparer of Trump’s New Jersey return, verified that document’s authenticity. Through an attorney, the famously litigious Trump already has threatened “prompt initiation of appropriate legal action” against the Times. Washington Post associate editor Bob Woodward, who joined Baquet on the Harvard panel and also said he would risk jail to publish Trump’s tax returns, joked during the talk that in the event of a criminal conviction, perhaps everyone in the newsroom could serve one day of the sentence.